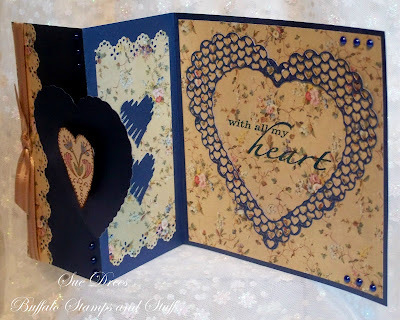 Today, I thought I would show you that a beautiful Valentine, DOES NOT have to be RED! Started with a blue pearlescent card stock. My card measures 5 1/2x11. Score at 51/2 and fold to a 5 1/2 inch square card. Score again at 2 3/4 inches on the front panel. Fold from right to left to form a three panel card. 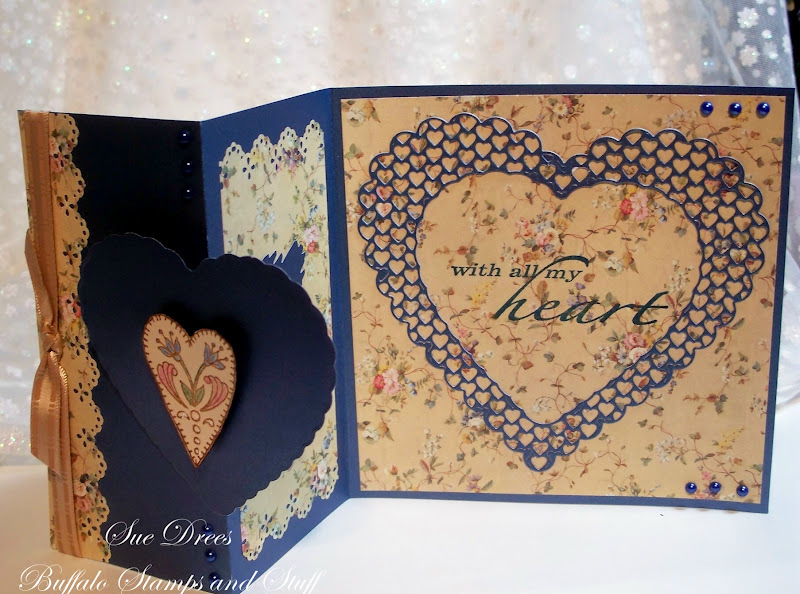 I decorated my card with the beautiful Cheery Lynn Heart to Heart Doily die. I used the inside on the front panel, the outside on the third panel (it's all one die). Papers are Graphic 45, Conservatory 6x6 inch pad. 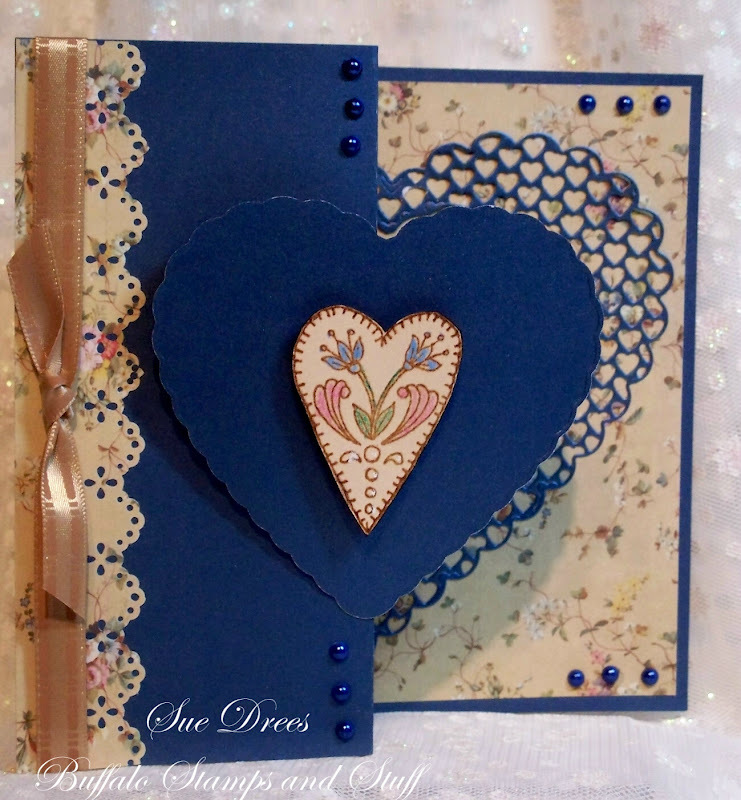 The center panel has punched hearts and the same border punch across the top and bottom was used. Pearls added to front and third panel. 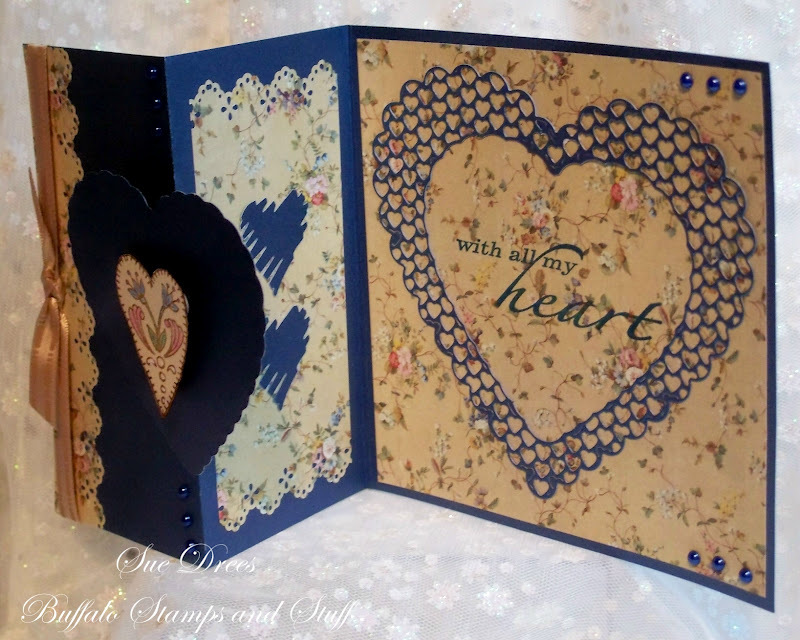 Stunning work Sue, the card is super fabulous, what a lot of work/details, but so so wonderful! beautiful card sue with lovely papers. 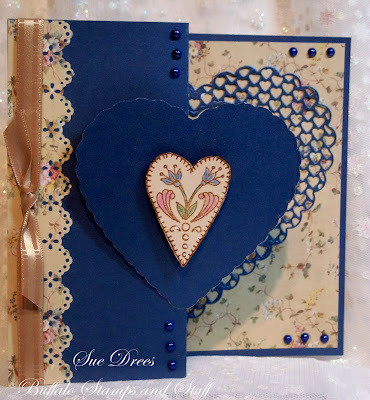 oh a blue heart/Valentine card...very pretty with all the fancy details! Love that DP too!